Loving nature gives humans compassion and ease of mind. 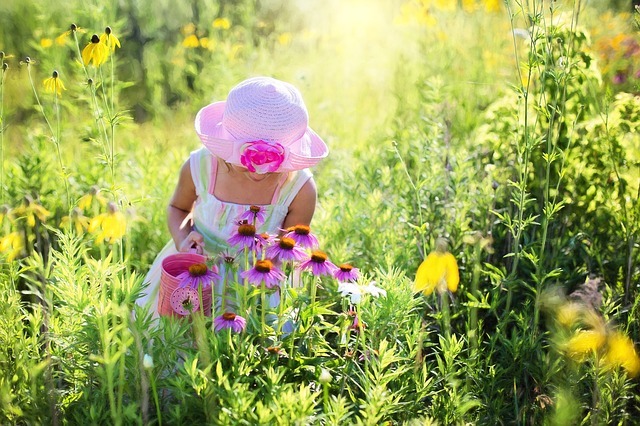 It’s important to get your little ones to love nature from an early age and have fun while doing it too. Nowadays it is easy to keep children entertained with electronics and toys indoors, but it can be very beneficial to show them how great the outdoors really is. Here are five great activity examples to get the kids to love nature. Skiing is suitable for all ages and is an excellent family holiday activity. Taking skiing classes from professionals on lovely French Alps for example; is a great way to enjoy nature’s offerings in winter. If you want to book a winter holiday you should definitely check out these family ski deals. Such packages will come with accommodation, equipment hire and classes included optionally. That way you know exactly how much you have to pay to try it and see how the family gets on. If you all love it, then continue your fun throughout your holiday. Although it seems like an individual activity, skiing is a great challenge that gets the whole group involved in the fun. At dinner time, you all can laugh over who got more snow in their face that day! By getting out and walking nature trails you can learn so much as a family together. Whether it’s a short easy walk pointing out different types of leaves, or an epic day mountain hiking in the Alps. Walking together as a family has benefits that will help children to enjoy nature easily. Summer walking holidays in the Alps are a brilliant way to get the kids outdoors learning to enjoy what nature has to offer. Resorts such as Les Gets in France, have a wide range of family friendly trails. Here you can use the lifts to get to high vantage points and start your hike with amazing views so the children don’t get bored. Making it into a game is another way to really engage kids in the activity. Maybe have a sheet of certain objects they have to find along the trail. Or even a good old traditional game of eye spy to get them looking around and focusing on the environment. Home or away, nature walks are an easy way to get children to enjoy the outdoors. Most young children are fascinated by animals, so visiting a farm can be both an enjoyable and a learning experience. With smaller children, you can point out the animals, listen to their noises and see what they like to eat for dinner. Whereas older children may want to take a more hands on approach. Some farms give visitors the option to become an apprentice farmer and help with everyday life on the farm. Children learn how to care for the animals, including feeding, cleaning and grooming too. There may even be the opportunity to collect eggs or milk cows depending on which farm you visit. Visiting a farm gives kids an insight into where their food comes from and how we work with nature. Not only with animals but also growing our food in fields. Appreciating what the natural world has to offer. Another activity that will get the kids excited is horse riding. A new experience for young children and a different way to explore the outdoors. A pony trek or horse riding is something the whole family can enjoy together. From around the age of 5, children can start to ride small ponies with the help of a guide. A pony trek will usually be a short slow walk through easy terrain for small children. Getting them used to balancing on the pony and adjusting to their movements. For kids of 10 and up, horse rides or hacks are popular which is still slow to start off with but may change with the ability of the rider and the assessment of the guide. Whilst riding children can see the terrain and countryside from a different perspective, encouraging the want to explore some more. Activity centres, farms and holiday parks often have horse riding options that specialise in catering for families. Book ahead and enjoy a truly memorable experience for children on their holiday, improving and learning skills in the process. Riding a bike is a rite of passage for young children and it can be so much fun teaching them and watching those training wheels come off. From that very first trike to a mountain bike, biking is an excellent way to get kids out into nature. Even if the small children are too young for bikes just yet, there are some excellent bikes with trailers or seats you can hire to enjoy the ride together. Riding as a family and exploring woodland or lake trails is exciting and adventurous even if it’s close to home. Mountain biking holidays are great for older children where you can all set out for the day, following marked trails and visiting sights and views along the way. Bring a picnic to really make the most of the day and the scenery. By riding together children will see that you are enjoying the outdoors and encourage them to do so. Little ones learn and mimic, so if you are on a bike, they’ll want to ride too! Yes, sometimes this phase of wanting to do everything you are doing pays off! Spending too much time in front of a screen. Instant gratification from digital life makes it more difficult for children to focus on the outside world and outdoor activities. Although a little time in front of the TV isn’t harmful, don’t make it a regular pastime. Showing your own frustration or boredom. Children will pick up on your emotions and if you show you’re not that into something, even if they are enjoying it they will copy your behaviour. Making them do something they really don’t like. If it’s a clear no goer then you might make the prospect of other outdoor activities undesirable too. If one clearly isn’t working, move onto something else. When travelling it can be difficult to keep children entertained on the road. But with so many outdoor activities to choose from it’s good to get a break from the screens and spend the day outside. It will tire them out too, giving you a well-deserved rest! Are there any there any other activities you can suggest that capture children’s love for nature? Most of all we need to encourage our children to spend time outdoors and find the right balance for your family. A whole world of adventure holidays await if you can get your little ones to love nature from an early age.